Following her attendance at her album release party, Rita Ora spent part of Thanksgiving yesterday(November 22nd) on a float during the 2018 Macy's Thanksgiving Day Parade in New York City. 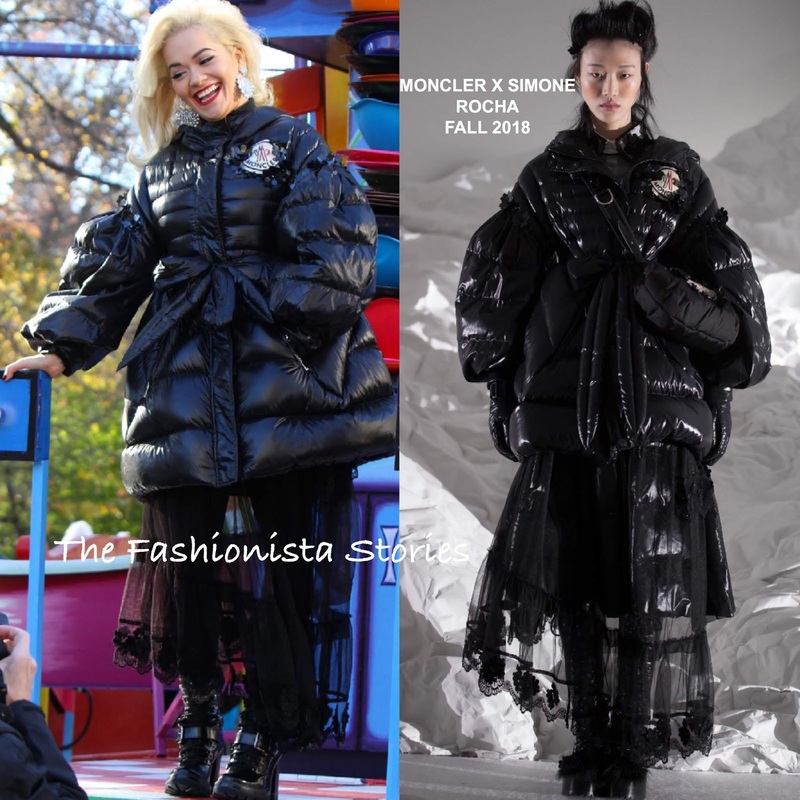 Rita came prepared for the weather, wearing a MONCLER x SIMONE ROCHA FALL 2018 black shiny quilted, puffy coat, with a sheer black embroidered panel dress underneath. The masculine inspired jacket definitely had some feminine touches to it, via the black flowers around the puffy sleeves. Sparkly statement earrings, black boots, red lips and side parted tresses finished up her look.